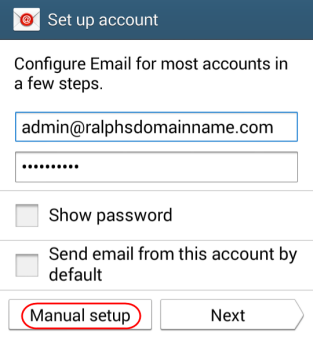 How do I set up a Starter or Standard mailbox on an Android device? 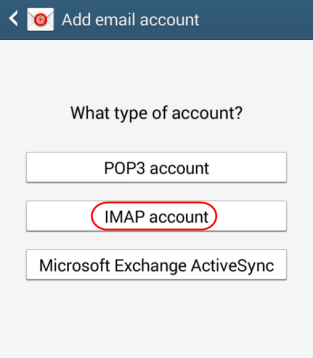 This article covers the setup for Starter and Standard mailboxes on Android devices. 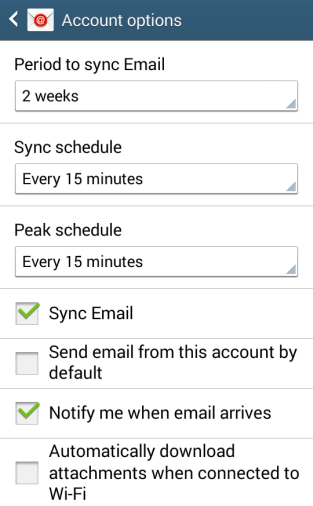 Set up your Starter/Standard Mailbox on an Android device. Starter and Standard mailboxes will need to use and SMTP server provided by your ISP in order to allow them to send mail. 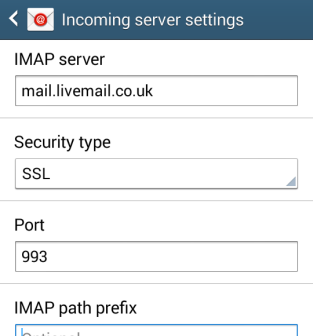 Alternatively the mailbox can be upgraded in order to allow it to use the SMTP server provided by Fasthosts. Each version of Google Android may vary slightly, but this guide will show you a generic process for setting up a Starter or Standard mailbox. 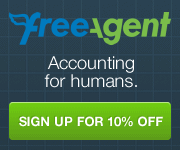 Enter your email address and mailbox password in the text boxes provided and select Next. 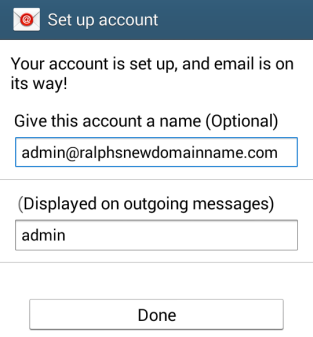 IMAP Server: Enter mail.yourdomainname.com replacing yourdomainname.com with your domain name. Security type: Leave this set to none. In the Outgoing Settings, enter the SMTP server details supplied by your Internet service provider, and pressNext. Once you have chosen your custom settings, click Next. Your mailbox will now be ready to use.